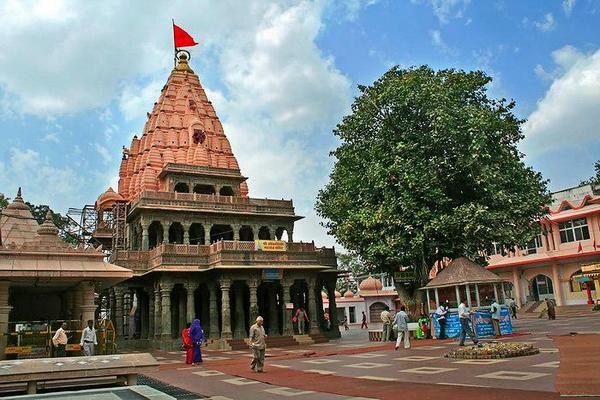 After Breakfast Check out from the Hotel, depart to Ujjain after fresh n up Mahakaleshwar darshan & proceed for River Shipra a place for Kumbh parv. Kal Bairav temple, harsiddhi temple, mangalnatth shakti peeth mandir, scone temple, Jantar Mantar and Local Temples in Ujjain. over Night Stay in Ujjain. Early Morning Bhasm arti & hcek out from the hotel, leave for Omkareshwar It is popular for having Jyotirlinga temple known as Mamaleshwar temple which is dedicated to Lord Shiva. This temple is also referred as Amareshwar temple. It is located on other side of river for which we have to cross through bridge called Mamaleshwar Setu. afternoon leave for Maheshwar (approx.70 Kms 2 Hrs.) Late Afternoon Sightseeing in Maheshwar. It is located on the bank of Narmada river and had served as capital of Holkar dynasty who has deep impact in history of this Malwa region. Throughout the tour you will come across the monuments build during Holkar reign. Do full day sightseeing in which visit to Ahilya fort and riverside temples. In addition to this, do boatride in Narmada river. Enjoy the sunset at the Maheshwar Ghar and Attend the evening Narmada Aarti at Maheshwar and Night in Maheshwar. Morning leave for Omkareshwar It is popular for having Jyotirlinga temple known as Mamaleshwar temple which is dedicated to Lord Shiva. This temple is also referred as Amareshwar temple. It is located on other side of river for which we have to cross through bridge called Mamaleshwar Setu. afternoon leave for Maheshwar (approx.70 Kms 2 Hrs.) Late Afternoon Sightseeing in Maheshwar. It is located on the bank of Narmada river and had served as capital of Holkar dynasty who has deep impact in history of this Malwa region. Throughout the tour you will come across the monuments build during Holkar reign. Do full day sightseeing in which visit to Ahilya fort and riverside temples. In addition to this, do boatride in Narmada river. Enjoy the sunset at the Maheshwar Ghar and Attend the evening Narmada Aarti at Maheshwar and Night in Maheshwar. After breakfast check out from the Hotel, Depart to Indore, check in to Hotel, After Fresh n up sightseeing of Local Indore, bada ganpati, Kanch Mandir, Khajrana temple, Evening shop to your delight in Indore Local Markets and Have a dinner at the famous Sarafa Market of Indore. Night in Indore.